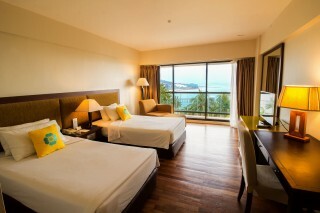 Elegantly designed and furnished in art décor style, each room covers a spacious floor area of 32 sqm. Every room comes with a balcony providing enthralling views of the natural environment. - The maximum number of extra bed in a room is 1.